Delicate, but thin sound … cartridges of sound not impressed … Are you going to endure forever? Caution: You may not want to go back to other cartridges you have now. Only and simple way for dense and thick sound. n this digital century, music experience has been all digitized. We buy CDs, download and stream music even in Hi-Res format from the Internet, You can access to your favorite music with one finger operation wherever you are. In such a world, you dare to listen to vinyl records? Records are troublesome. They require careful handling and large space for storage. You must be weird… No, you are not. You want to experience something significant that you cannot from digital sound. We know exactly what is the “something.” Because I myself had the same feeling. 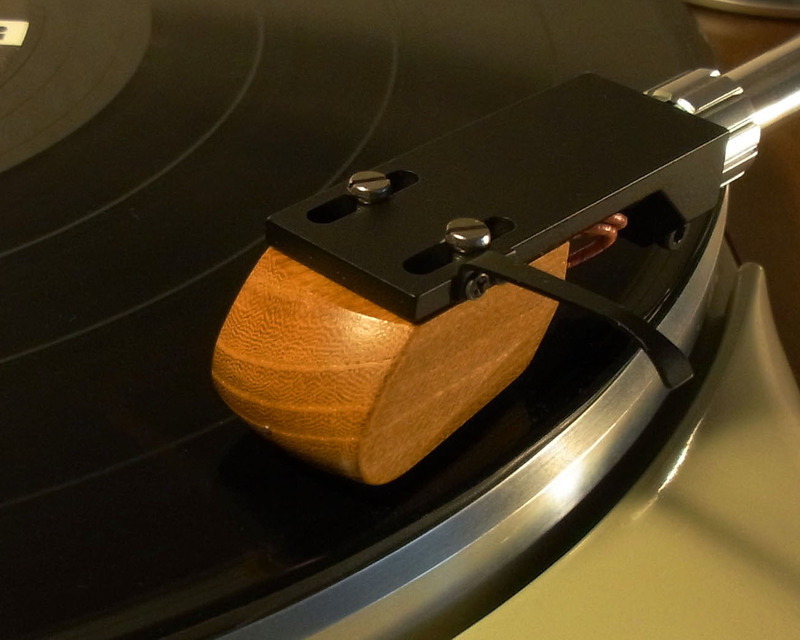 Thick, dense and pleasant sound that you can only enjoy from analog sound. Something that cannot be brought from a digital source. 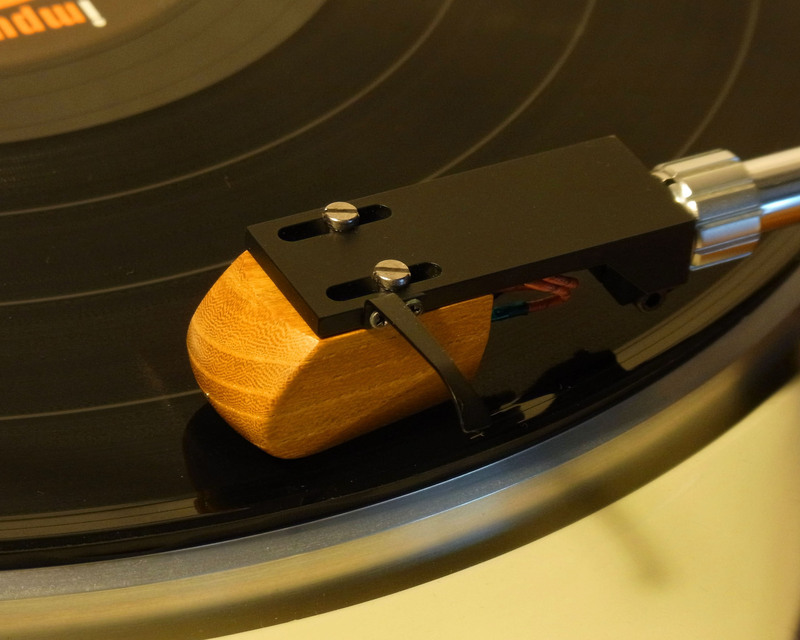 In fact, I had the desire for such sound experience when I started to take the road of vinyl and tried out whatever cartridge in the market came in my way. But nothing was truly satisfactory. If you want simply “thick” sound, MM cartridges will do the job. But a cartridge that can carry as much information as an MC type, and at the same time, “thick and dense” sound quality was really hard to find. Most cartridges out there recently have very stereotypical specs, low impedance, line contact stylus, boron cantilever… all aiming to produce “digital-like” sound. Yes, they are capable of flat frequency response, hi-res sound, but are in the first place, not made for “thick and dense, pleasant” sound peculiar to analog music. Such cartridges do a good job when you play a newly pressed flat and flawless disc. But when you try any old original disc, the cartridge would faithfully reproduce all the irritating rustling noises on the groove. The sound is far from dense and heavy, as you are too disturbed. I went through the same experience. Time to stop listening to the records with theories and specs. 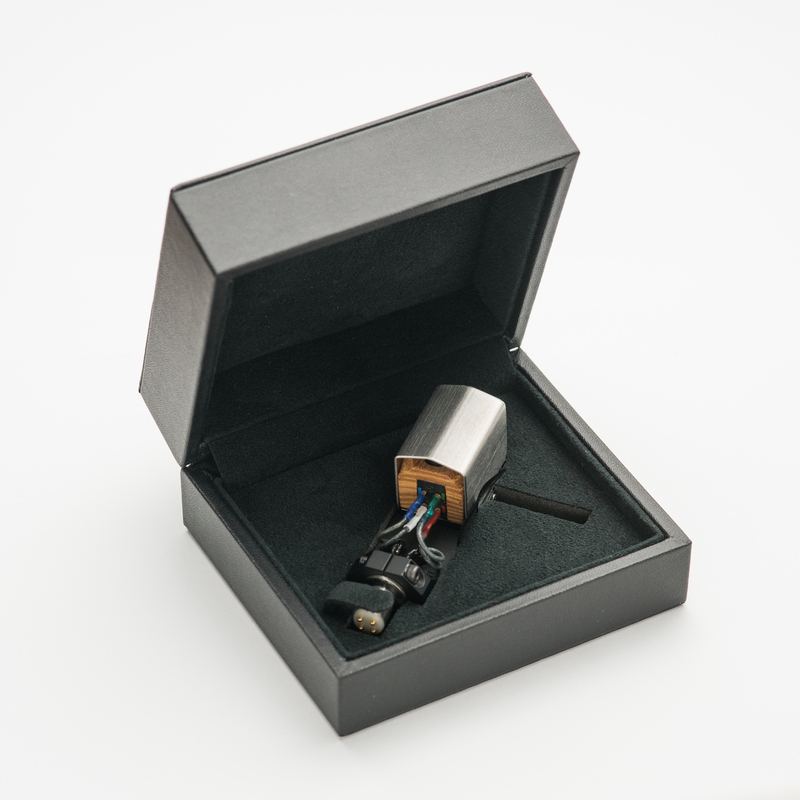 “KOI-OTO” is the only cartridge that delivers unprecedented sound experience without any difficulty. 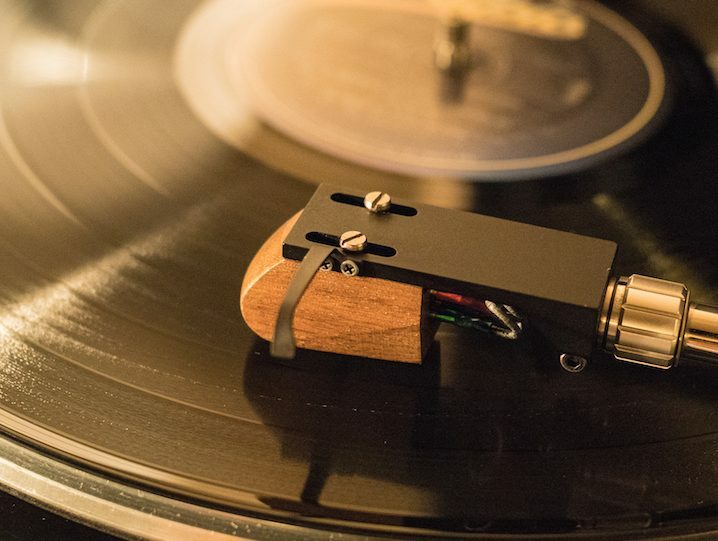 We used Neodymium magnet, one of the strongest in the market, so that the tiniest move of the cantilever through the stylus can be clearly sensed and promptly transformed into the sound. The powerful magnetic force yields outstanding dense and solid sound, marking 0.45mv, strikingly high output as an MC cartridge. Carefully selected solid wooden body signalizes “KOI-OTO’s” unique design. After examining all kinds of materials to make desirable dense sound, we have reached the answer to use wood for the housing (body). We tired several dozens of different species of wood. It is generally said that hard materials like ebony are suitable for audio devices. But after the numerous test auditions we found that such materials would just make the sound ordinary. Flexible material is more suitable for the case to reproduce deep elegance of the sound that comes from the stylus. Our craftsmen carefully hand-picked solid material, and created the special shape by delicate handwork. Just play KOI-OTO once and you never want to return to other cartridges. More and more users have this experience. You would also start pulling out the discs in your library and try them all with this cartridge. 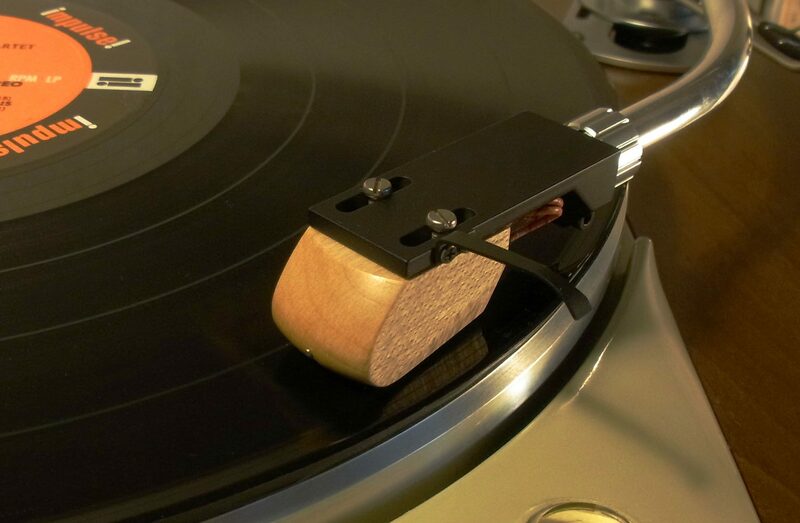 Indulge yourself in the pure sound of the records. 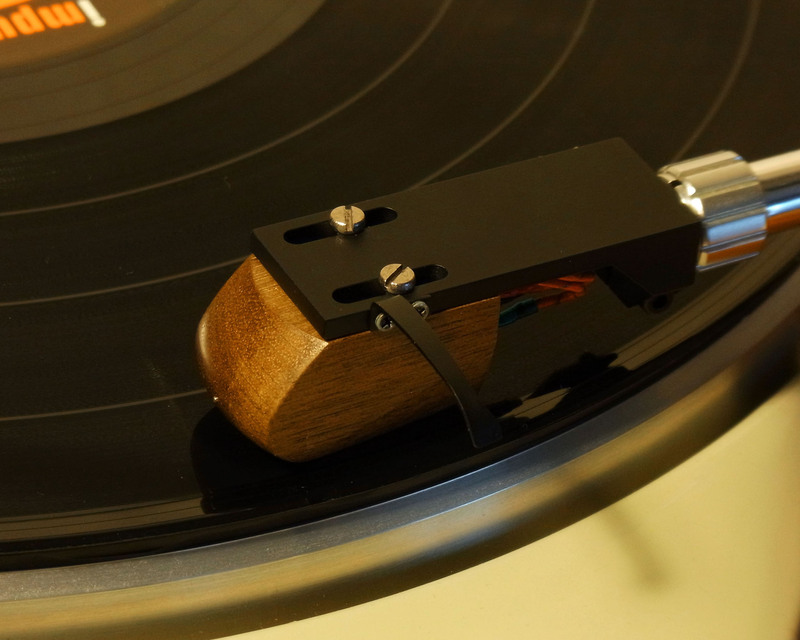 Major manufacturers withdrew from the analog audio business when the vinyl market dwindled, with just a handful of craftsmen in Japan remaining in the field. They have managed the superb traditional analog technology and preserved the record culture. The cartridge technology in particular has been the country’s stronghold. Zelkova has been the material for Japanese traditional drums as it creates beautiful and thick resonance. Broad leaf tree wood of the Juglandaceae, with adequately low hardness. Excellent material for musical instrumets. Maple creates elegant resonance and is popularly used for the backs of the violin. The elaborately designed form brings rich and extended bass and midrange. Did you know that static electricity on the surface of the disc affects the mechanical function of the cartridge? The gray cloth in the picture above is antistatic, protects the mechanism in the cartridge by making corona discharge into the air. ・reputable GINJO Lead Wire ‘Jazz Standard’ (about GINJO Lead Wire) is used as standard equipment. Sparkle in the thick. In KOI-OTO I adopt only “silver wire coil”. It is a high-end model of KOI-OTO which brings out sparkle that can only be displayed on silver wire, superb gloss feeling, a sense of air. There are several silver wire coil cartridges in the world, but it is not a thin line sound like those. It is a characteristic of KOI-OTO Silver that combines a sense of unfamiliar air while being thick and thick. Please enjoy the sound of beautiful strings, the rich sound of the piano, and the breathing of female vocals. To the air feeling that spreads out in front of the speaker, you are to be upright. It is especially recommended for those who are interested in high-end audio. The body material is also used for the back plate of the violin “scallop of solid Japanese maple” . Beeswax wax finish. The needle tip is a special order “advanced grade” elliptical needle precisely cut along the crystal direction of prismatic diamond. It realized overwhelming resolution height and high durability. It is dark, and clear everywhere. KOI-OTO Adopted an advanced grade needle tip like the KOI-OTO Silver, using a stable copper wire coil, it is an advance model that raised the resolution of the sound more. In addition to the sound pressure of the middle and low tone, the high resolution which separates each instrument firmly reproduces the pleasantness of music. Although it corresponds to every music genre, it is inevitable to “annoy” without thinking about its resolution and power when you apply a record such as pops, AOR, fusion etc. since the 70’s. If you are confused as to which way to do in the KOI-OTO series … Please select this advanced model. Especially boasts tremendous popularity from audio fans. Body material is “Japanese Walnut” shaving solid wood. Beeswax wax finish. It is a standard model of the KOI-OTO series which will rediscover the pleasantness of analog. While respecting various vintage cartridges coloring the times, I reproduced that taste in accordance with the present age. 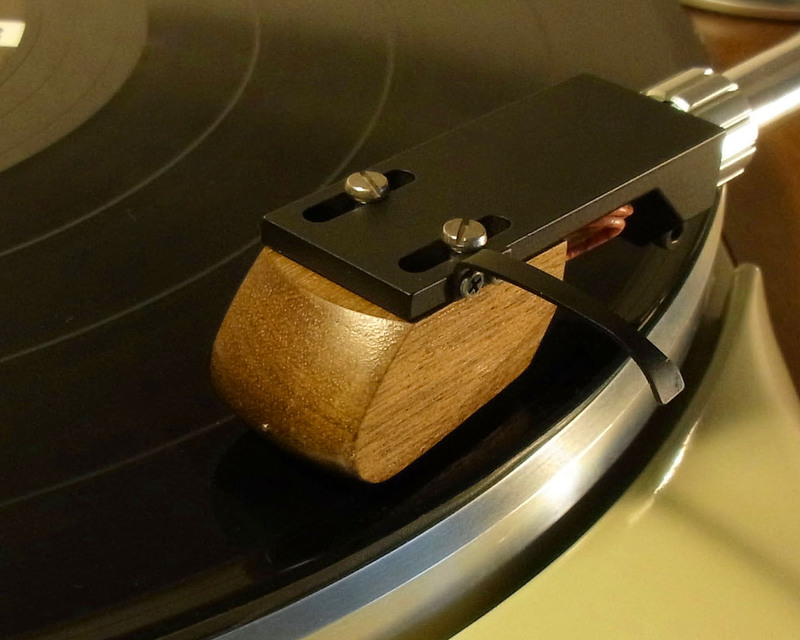 I would like you to use Ortofon SPU and EMT loving you. I will take you to a new world again. Especially for jazz, rock etc, this is the only matching. Heavy wood base volume feeling, tenor saxophone’s warm sounding, guitar’s thick sound pressure … other cartridges may not be heard anymore. It is also ideal for female vocals, and the texture of the mouth is reproduced in front of you. Body material is “Japanese Zelkova” scraping of solid material. Beeswax wax finish. KOI-OTO Cartridges introduced here are all made to order. They are handmade by our craftsmen after we receive the order and payment. The delivery of the goods to the customers are about 4 weeks from the order. You are quite an audio fan, having spent a fortune on records, amplifiers, speakers, and of course, on cartridges. “KOI-OTO” is your answer. We are sure you will know instantly when you try it. Copyright© Analog Relax アナログリラックス , 2017 All Rights Reserved.